Agile is fast becoming the defacto standard when it comes to software development. Like any methodology and process, it comes with its own set of terms. 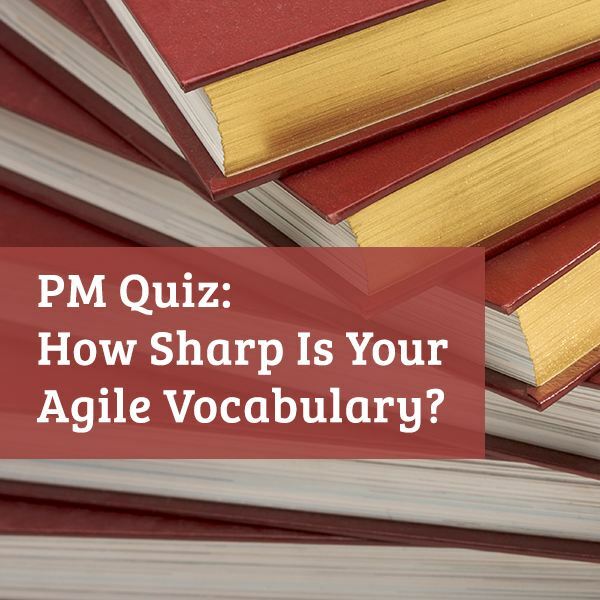 This quiz presents, in a fun approach, terms and expressions used in the Agile arena through a set of multiple-choice questions. Each answer to the question is also supported by more information that will hopefully give you additional understanding into the terms.